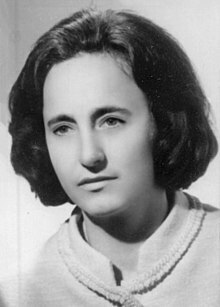 Elena Ceaușescu (January 7, 1916 – December 25, 1989) was the wife of Romania's Communist leader Nicolae Ceaușescu, and Deputy Prime Minister of Romania. We will not sign any statement. We will speak only at the National Assembly, because we have worked hard for the people all our lives. We have sacrificed all our lives to the people. And we will not betray our people here. Such impudence! I am a member and the chairwoman of the Academy of Sciences. You cannot talk to me in such a way! This page was last edited on 28 January 2019, at 00:17.